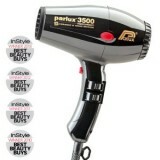 Any hairdresser will tell you that a professional hairdryer makes a huge difference. 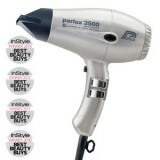 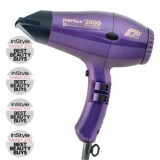 When you visit your salon next, check out the dryer they use – you can bet it will be a Parlux. 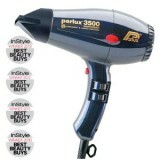 Hot off the press is Parlux’s new ultra-powerful, super compact 3500. 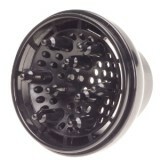 It suddenly makes other dryers look old fashioned. 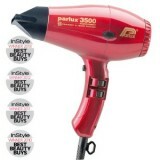 Parlux 3500 Diffuser Define Curls without the Frizz The Parlux 3500..
Parlux 3500 Ionic and Ceramic Hair Dryer - Black Any hairdresser will tell you..
Parlux 3500 Ionic and Ceramic Hair Dryer - Blue Any hairdresser will tell you ..
Parlux 3500 Ionic and Ceramic Hair Dryer - Gold Any hairdresser will tell you ..
Parlux 3500 Ionic and Ceramic Hair Dryer - Pink Any hairdresser will tell you ..
Parlux 3500 Ionic and Ceramic Hair Dryer - Purple Any hairdresser will tell yo..
Parlux 3500 Ionic and Ceramic Hair Dryer - Red Any hairdresser will tell you that a profe..
Parlux 3500 Ionic and Ceramic Hair Dryer - Silver Any hairdresser will tell yo..